A Vitamix(R) can do much more than just make tasty smoothies. It's not surprising that almost 1.5 million Vitamix(R) blenders have been sold. A Vitamix(R) chops, grinds and minces, a convenient and nearly instant way to get those servings of fruits and vegetables that are so often skipped. The Vitamix(R) also grinds grain, making fresh flour at home easily within reach, a good alternative to buying stale flours from the store. Breads, pancakes, muffins and scones will have maximum flavor and nutrition when made from flour still at its peak. This book provides ways to eat real, whole foods when time is limited. Robin Asbell has created an extensive collection of tantalizing and innovative recipes that get the most out of this exceptional appliance. Delicious dishes range from nutritious breakfasts to fresh sauces, sumptuous soups, dips and spreads to desserts that invite requests for seconds. 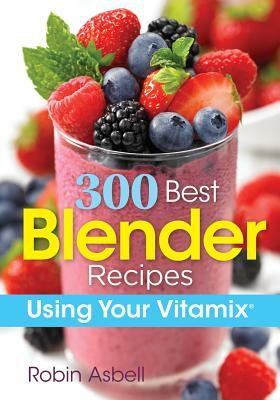 A chapter on baby foods and another on nut butters round out this terrific Vitamix(R) cookbook. Asbell also includes useful information on the differences among the different series models, and tips and techniques that demonstrate how to turn the Vitamix(R) into an invaluable workhorse in the home kitchen. Robin Asbell is the author of eight cookbooks and an educator with a lifelong passion for whole, natural foods.